If Punkie has a motto, it’s “Live to Bounce,” or “Vivamus Currentis” (because all good mottoes are in Latin). The bouncer is by far his favorite toy. He is so fun to watch while he’s bouncing it out in his bouncer. And I’m happy to have a use for my old, expensive textbooks from law school. I graduated 15 years ago and, since then, these books have been gathering dust. Now, they have a new life. A life dedicated to bouncing. 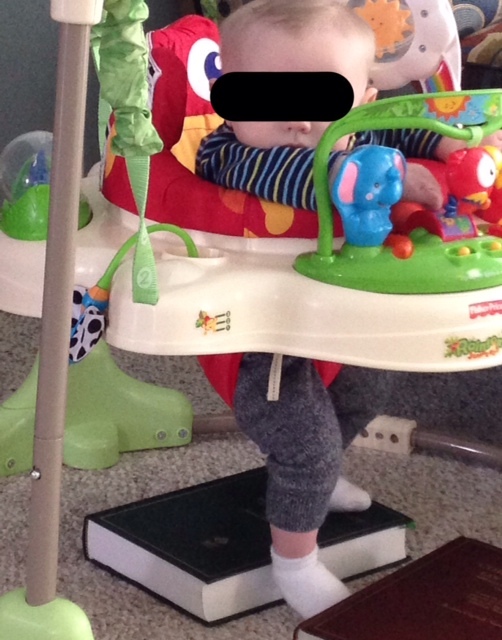 This entry was tagged jumperoo, live to bounce, mommy blog. Bookmark the permalink.